The Jamcast is a round table discussion previewing The Jambar’s stories for the week while also discussing local and national news. But that’s not all, The Jamcast will discus a wide variety of topical issues such as sports, opinion pieces and pop culture. Don’t miss The Jamcast on Thursday’s from 10am. The Jamcast, The Student Voice of Youngstown State University. On this week's episode: Brent Bigelow, Brian Yauger and special guest, Youngstown State University track star Chad Zallow, discussed the week that was in sports for YSU. Chad talked about being a Browns fan and finally feeling excited for the NFL season to start, wanting to possibly participating in the YSU football team and meeting Tyson Gay. On this week's episode: Morgan Petronelli and Rachel Gobep recapped their experience at the Lordstown Bernie Sanders panel. Also on the docket Morgan, Rachel and Brent Bigelow talked about politicians using Youngstown as a token to get attention and votes. Then to wrap things up Morgan discussed Tim Ryan's background as a politicians and the importance of know your politicians. 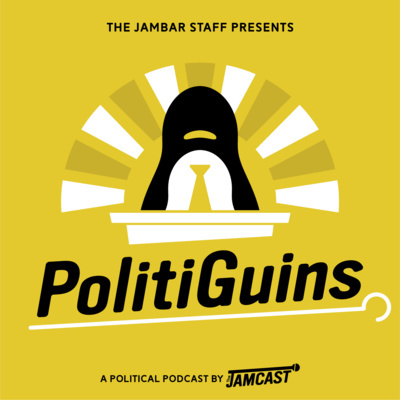 On this episode of PolitiGuins Rachel Gobep, Morgan Petronelli and Brent Bigelow discussed the "Green New Deal" and the details of the deal. Along with it, we reacted to Dianne Feinstein's climate change discussion with school children that quickly turned sour. Rachel brought up the military draft being unconstitutional because it only allows men and excludes women. Listen to see what else was on the docket. On today’s episode of The Jamcast, listen to your favorite hosts Morgan Petronelli, Rachel Gobep, Joshua Fitch and Brent Bigelow as they discuss online exclusive Jambar stories and recap news, art, entertainment and sports coverage by the Jambar and local news organizations in 2018. 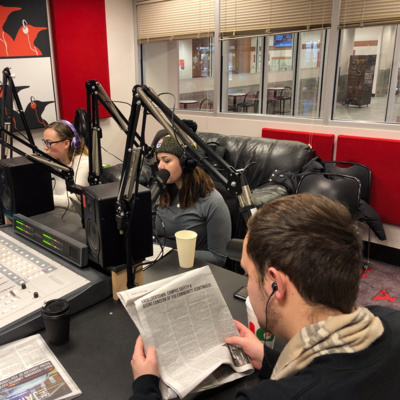 With finals week upon us, hosts Morgan Petronelli, Brent Bigelow, Joshua Fitch and Rachel Gobep reflect on how the semester went for The Jambar. The group also discussed the recent tragic house fire that claimed the lives of five children from Youngstown and the effects on the community from the recent closing of the General Motors plant in Youngstown. Also on today’s show: 70 finches were smuggled into JFK Airport via hair rollers, El Chapo’s wife, the Cleveland Browns’ win, the Pittsburgh Steelers’ loss and the prison sentence of President Donald Trump’s former personal lawyer Michael Cohen. 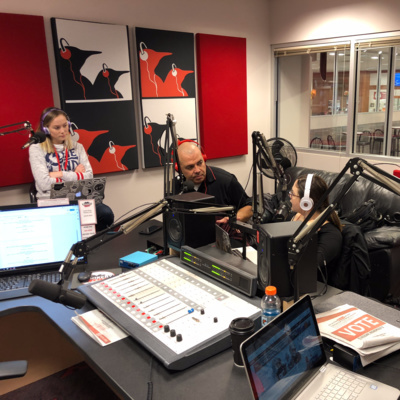 After the stress-filled day on Monday, including an alleged armed suspect at large with a firearm on campus that led to a two-hour lockdown on campus; Rachel Gobep, Morgan Petronelli, Brent Bigelow and Joshua Fitch took today's episode to dig deeper into the afternoon. There is a discussion regarding safety, student stories about the lockdown, a "prank" that was pulled against the newspaper during the coverage of the lockdown and our own reflection of how we handled the situation. On this morning's episode of The Jamcast; Brent Bigelow, Rachel Gobep, Joshua Fitch and Alyssa Weston breakdown Alyssa's and John Stran's part two of their Youngstown Diocese. In part two, Alyssa and John sit down with victims that have been abused by local priests and how it effects them three decades later. As a group we talk about GM closing their Lordstown plant, Pete and Penny renewing their vows, Youngstown State's basketball teams, and medical marijuana in Boardman ready to be harvested. Listen live on Thursday's at 10 am on Rookery Radio! Brent Bigelow and Morgan Petronelli welcomed in Tanner Mondok and Brady Sklenar as guest stars on this week's Jamcast. With Thanksgiving only a few days away the gang discussed what they're looking forward to this Thanksgiving and what their favorite dishes to feast on. Also on today's show they discussed stories that were in last week's Jambar; including stories like Bob Dylan's concert in Youngstown, Dr. Ray's tree on campus, the Night Lights Program and many other campus stories. They also broke down Brent's trip to Illinois State for the last YSU football game of the season and talked about the men's and women's basketball teams. And wrapped things up with some local stories in the Youngstown area. The Jamcast hosts, Brent Bigelow, Rachel Gobep and Joshua Fitch discuss heavy topics published in this week’s Jambar, along with three special guests. Tanner Mondok, The Jambar’s photo editor, detailed his front-page article about how adjunct faculty at Youngstown State University have not gotten a raise in 27 years. Alyssa Weston, Jambar news editor, and John Stran, a general assignment reporter, discuss the first piece of their multi-series story on the release of the names of 31 Youngstown priests; two religious clergy members and one non-clergy member from a religious order who were removed from the clergy over credible sexual misconduct allegations. Brent Bigelow, Morgan Petronelli, Rachel Gobep and Joshua Fitch are back at it again with their third podcast. 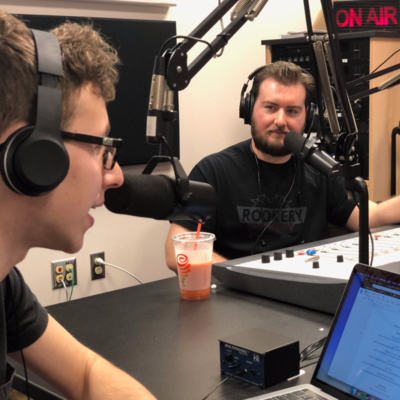 This week’s Jamcast included Ryan Peplowski, Jambar “intern” and assistant web manager, and special guest, the chairman of the Department of Communication, Adam Earnheardt. Listen in to hear their discussion on Jambar news featuring the Joe Biden and Richard Cordray rally. Earnheardt and the crew also have an in-depth talk about national sports. 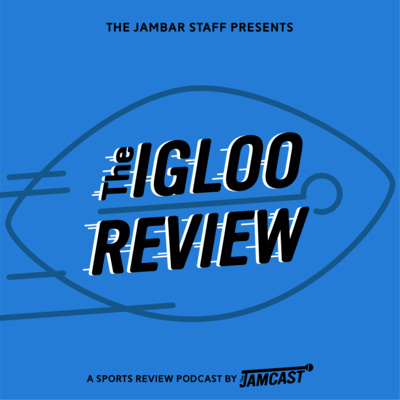 For the second episode of The Jamcast, Brent Bigelow, Morgan Petronelli, Rachel Gobep and Joshua Fitch discuss what will be published in the upcoming Jambar. The group also touches on local, national and world news, then wraps up with pop culture and sports. Topics we touch on this week include: Trump, the immigration caravan, Joe Biden and Jay Leno visiting Youngstown, Girard Officer Justin Leo, the much anticipated Browns vs. Steelers game and more. Tune in to next week's episode on Thursday at 10 a.m.
What a way to start off something special! Brent Bigelow, Morgan Petronelli, Rachel Gobep and Joshua Fitch sit down and discuss local and national news, as well as the latest news from The Jambar. Local musical group, Fifth and Aurora, join the podcast to wrap up the show with a great live acoustic performance.